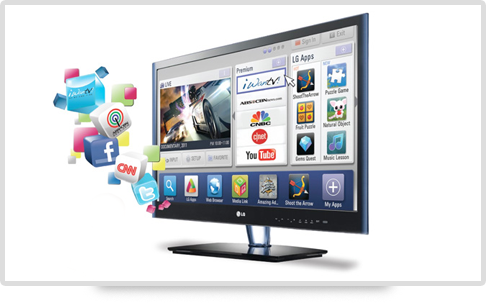 Smart TV Apps is an emerging technology. Major Smart TV manufacturing companies have introduced innovative TV apps to increase customer interaction and also for offering featured services to customers. According to recent surveys, number of users for Smart TV has increased rapidly by 35% in 2012 as compared to 2011(Nielsen Study). This rapid usage development has resulted in tremendous results in terms of "Social TV" interaction, and as per recent survey Social Apps manufacturing revenue is expected to increase by 105 million dollars by 2017(MarketandMarkets.com ). Here at Enterprise Mobility, we make "Social Interaction" possible with our unique Social TV app solutions. Enterprise Mobility is one of the leading companies that addresses all Smart TV Apps Development platforms and provides solutions accordingly. Business ,Education ,Entertainment, Finance, Games, Health & Fitness, Kids , Lifestyles, Videos, Photo Filter, Sports, Social Networking and Travel Weather. Here at Enterprise Mobility, Our Smart TV App developers are committed to provide high quality innovative applications to inspire customers and differentiate their business. Our finest quality Apps has opened a new world of improved entertainment and TV pleasure for our customers all over the world.